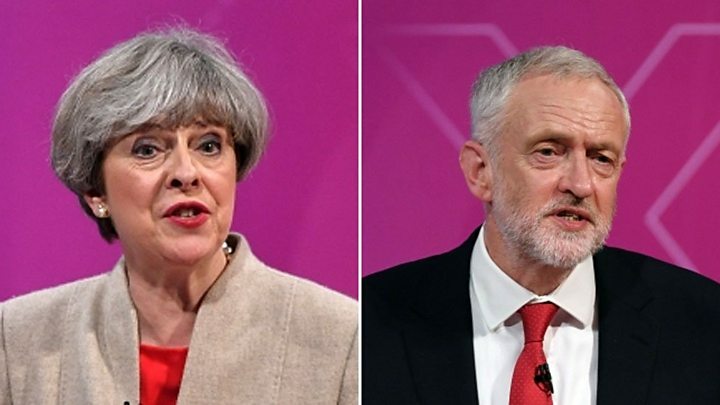 The BBC has backed out of plans to host a head-to-head debate between Jeremy Corbyn and Theresa May over the Brexit deal. The decision was made despite being chosen as the Prime Minister’s preferred host of the would-be TV event. The corporation said in a statement released today that it had failed to reach an agreement with the two party leaders over the format of the debate. Corbyn has openly expressed his preference for ITV’s rival proposal. The climbdown comes after Corbyn rejected BBC plans for a panel of public figures, both for and against the deal, who would have a discussion on the deal. He has however accepted a head-to-head with May. ITV’s format involves a one-on-one debate but does currently does not include questions from an audience or panel. The BBC bid would have also allowed members of the public to put questions to the leaders via social media. In a statement, a BBC spokesperson said: “We are disappointed that we could not reach an agreement on the BBC’s proposal for a debate on Brexit. “We have been clear throughout the whole of this process that, as well as a substantive head-to-head debate, any programme we broadcast would need to include other voices, including other political parties, to reflect the wide range of views the public and parliamentarians hold about Brexit. “The final proposal we put to both of the main parties was for a head-to-head debate between the Prime Minister and the Leader of the Opposition, followed by a discussion between eight panellists, including politicians, with a wide range of views on Brexit, and ending with further head-to-head debate and closing statements. “We believe ours was a fair and appropriate format for those taking part and, crucially, for our audiences around the country, and it is a shame we will not be able to bring them this programme. In a statement released earlier today on the proposals for the debate, which was set to air on Sunday night, a Labour Party spokesperson said: “When Number 10 told the media [Theresa May] wanted a head-to-head debate on her botched Brexit deal, Jeremy Corbyn immediately agreed. “He then swiftly accepted ITV’s proposal for a straightforward head to head debate with Theresa May. But the Prime Minister has rejected it. “The Prime Minister’s team and their preferred broadcaster, the BBC, have put together a confused format which would limit head-to-head debating time, with a built-in advantage for the Government. “The BBC’s latest proposal is a mish-mash, with a lop-sided panel of other politicians and public figures, not a straightforward head to head debate. “The BBC could, as ITV and Sky have proposed to do, fairly represent other viewpoints and parties in other programmes on its network. Press Gazette understands that Labour feared the panel, which would have been split between four figures in favour of the deal and four against, could have included more pro-May voices than pro-Corbyn. Asked if Number 10 had approached ITV to accept its bid, a spokesperson said: “ITV have invited the Prime Minister and Leader of the Opposition to appear in an ITV programme and invitations remain open.